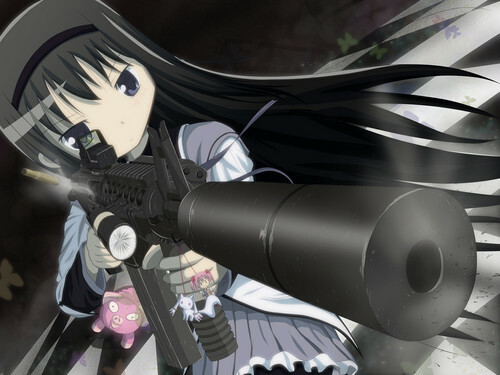 Homura firing a Gun. :). HD Wallpaper and background images in the Mahou Shoujo Madoka Magica club tagged: mahou shoujo madoka magica homura akemi. This Mahou Shoujo Madoka Magica photo might contain mesin pembakaran internal, es, internal combustion engine, and ice.